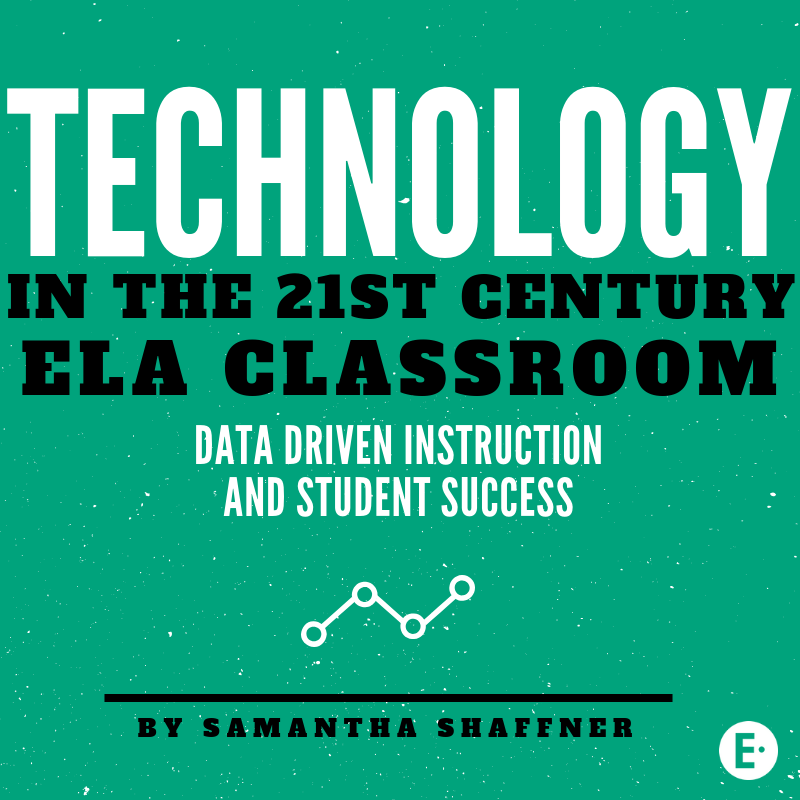 The following article, Technology in the 21st Century ELA Classroom, was written and contributed by secondary ELA Teacher Samantha Shaffner of Millennium Community School in Columbus, Ohio. The piece, originally published in the Ohio Council for Teachers of English Language Arts quarterly newsletter, thoughtfully examines the use and reception of Google Apps for Education and Edulastic in the modern-day ELA classroom. It winds through reasons by particular technologies were chosen, the benefits they’ve provided, and how the technology has transformed the classroom. 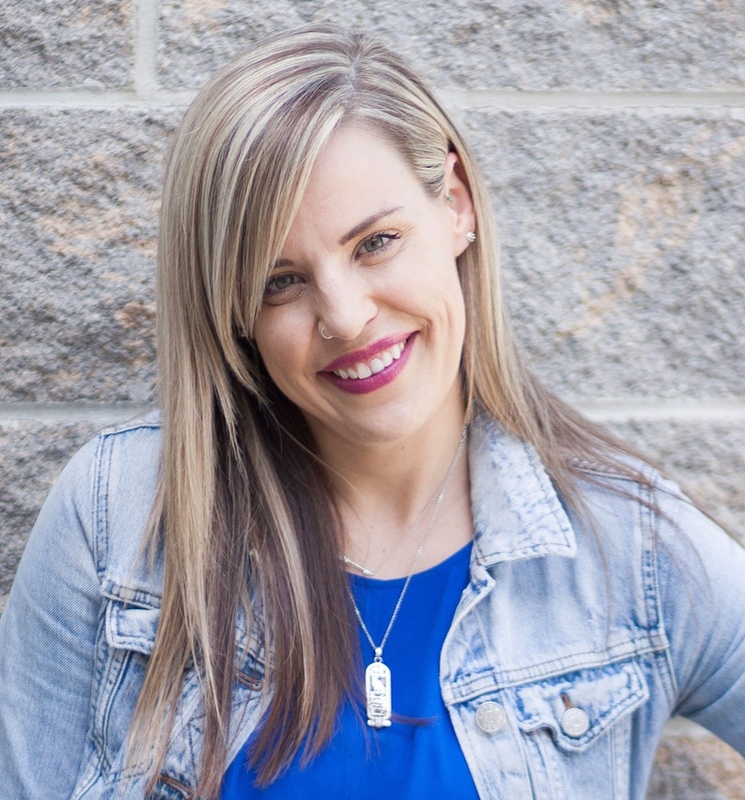 We’ve included Samantha’s full bio at the bottom of the page and a link to her Twitter account in case you want to connect or follow-up with her. 21st century classrooms across the country, especially in Common Core adopted states, have made the complete shift from the traditional paper state assessments, to assessments that are only offered in a digital format. For teachers, at first, this was a bit of a scare for most of us. Today, more and more schools are using Google Apps, and Google Classroom specifically, as an online learning platform to create common core based assignments, communicate with students, parents, and administrators. The flipped mastery model can be employed using Google Classroom as the major platform, and supported and executed by the use of Edulastic. Because these two systems can “talk”, teachers can create assessments that prepare students for online testing and provide rigor. Resources vary from district to district because of disparate funding and staff and student experience. Students from across demographics share the same tests, but the format of the test is largely ignored as far as its potential impacts relative to the sophistication of the digital assessments themselves. Obsolete paper testing alone cannot prepare students adequately anymore in a digital age. The flipped model employs practices that if implemented in ELA classrooms benefit students from a practical as well as pedagogical perspective. Students practice the skills they need for authentic testing settings, familiarizing themselves with the digital environments at the same time. Test preparation and data tracking takes an understanding of the tools and resources available, which if used appropriately offer more in the way of differentiating among the needs of several students than traditional methods.Considering the focus of Common Core State Standards in states that have implemented them, data tracking in regards to those standards is almost mandatory if not vital to student and school success in regard to assessments based on them. In other words, the shift in standards (more focus around 21st century, speaking and listening skills, and reading of informational text) is as important as the shift in the testing format from paper to digital for some students and teachers, particularly in certain schools. Assessment Tool/Data and Mastery Tracker: Why Edulastic? 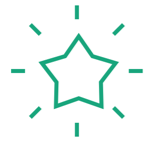 Edulastic is an online assessment tool that is designed to track student mastery, as well as organize libraries of resources for teachers who can share and modify assessments that are labeled by standard and depth of knowledge. Additionally, this digital assessment platform allows teachers and administrators to work together creating rigorous and relevant assessments. It has a bank full of CCSS items and the ability to emulate the exact question types and at times, as you will read later in this article, the same content that will appear on Ohio’s ELA AIR tests in grades K-12 from one school year to another. The program also provides a real-time data tracker in which you can monitor testing students struggle or master any given concept in class or from home. The additional tools provided by Edulastic provide various supports to students to help deepen their understanding of the testing process itself, as well as master the standards embedded in the high-stakes tests in all content areas, but has a large focus on English Language Arts CCSS. In practice, I was able to duplicate the State AIR testing protocols, format, materials, and environment for then unfamiliar students. Using the school’s platforms, Google Classroom and Edulastic, I was able to link assessments and track student progress in real time with transparency to district administrators and the students themselves. Just as the students can acclimatize to the digital world, teachers can do the same. Most of you are already familiar with the learning management system, Google Classroom. Google Classroom organizes student workflow and provides functions that allow ELA teachers to discreetly differentiate content and scaffold, amongst many other useful functions within the program. Edulastic assessments can be synced and posted to a class’s “stream”, making a seamless transition to the assessment page to avoid student confusion. Google Classroom keeps teachers and students organized, maximizing on preparation and one-on-one instruction with struggling students. Without the use of technology in the classroom, this individualized approach to education would be nearly impossible for most ELA teachers. Many schools, including my school, Millennium Community School, are adopting Chromebooks and the Google Classroom platform/Google Apps environment to organize their curricula and provide students access to mature and cloud-based technologies across the country. States are following suit by eschewing the traditional paper assessments for digital only formats, which is new in the state of Ohio as of this academic year (2017-2018). Paper gradebooks are being shredded in service to this new age, and teachers and their students must adapt to these constantly changing conditions. If this does not occur in any given ELA classroom, students will fall behind their grade level peers due to lack of access to applications that give them practice with testing and learning content in a digital environment. Sooner than later, I can see most schools using tools such as Edulastic for test prep, content delivery, and data tracking. On the teacher end, real-time data and feedback are offered by the use of these programs, as well as the ability to efficiently create daily data points that emulate state questions to help students deepen their understanding regarding the more difficult critical thinking and writing items on the Ohio State tests and within the ELA classroom in general. Conversely, though our current students were born in the “digital age” they do not possess all of the skills required to succeed on digital assessments unless they are taught and trained by teachers and practice these new skills regularly with computers. One would assume this generation of students would be more adaptable to new technologies in the classroom and in testing, this isn’t always the case. Students are forged by their experiences and while their forebears plucked out instant messages on physical keyboards, smartphones have shrunk and streamlined the task of communicating to the point my students are shocked to see proficient typing. Even a humble eighty words per minute is impressive to a child hunting and pecking for individual keys. Practicing word processing by typing essay responses on the Edulastic app and in Google Docs has proven to be the best method of teaching typing and word processing to students who would honestly much rather be typing on a mobile device because it is what they know. Using the tools at my school, namely Google Classroom and Edulastic, teachers can create functional equivalents of the state assessments themselves, and the digital environment where the tests are presented to students. With daily data points and the tools to create accurate tests (many types of questions used on the Ohio AIR are available), students can be taught to spend their time wisely among reading passages, answering questions, organizing their thoughts, and finally typing responses. Real time feedback from students also allows for differentiation in the classroom. Combined with the flipped class model, class time can be used to deepen the students’ understanding of specific topics. After interviewing the Executive Director, my supervisor, Mr. Tijuana Russell, I was able to unpack the relationships between data driven instruction, data analysis, assessments, and student success. When asked the question, “Does administration find an advantage in having more data about students?” Russell replied, “Yes. Absolutely. We are a data driven and informed school. The data can be used to drive reteach of instruction and be used to create customized learning activities/plans for each student.” Additionally, data-driven instruction has been implemented through the use of Edulastic and Google Classroom for the purpose of differentiation and data tracking. From an administrative perspective, Russell and his organization stand behind the undeniable benefits of data driven education tactics. Data- driven instruction is a main component of academics district wide at our school, and has proven to be an effective way to keep students and teachers current with the shift. If trained properly, student achievement, goals, and the depth and rigor in individual teacher’s assignments and assessments are transparent to all invested parties: students, parents, teachers, and school administrators who make district wide choices based on data trends that meet the needs of their students, or emulating the data trends of other high performing schools that face challenges of the same nature through using similar best practices. Every day learning should be valued, even with the pressures of state tests, vendor assessments, and school board requirements making it seem like an endless road of obstacles. I long ago came to terms with the unsettling fact that the probability of a school-of-choice shutting down, is always possible. Pressure to have flawless audits, record breaking scores, and consistent/transparent data that meets the presented requirements is always present at school’s-of-choice. The point is there is zero wiggle room for mistakes, and this includes test scores, more specifically, state test scores. Although it did feel like I got lucky, or struck gold, so-to-speak, it was fairly easy to create an assessment that was almost identical to the 7th grade spring test this year. An adequate level of tech skills and training allowed me to create a test similar to the 7th grade spring ELA AIR exam, that actually contained the same readings, main ideas, and essay topic as the actual test (for the most part). Without Edulastic, I would have been printing off the same practice tests from the state website, and hoping for the best. 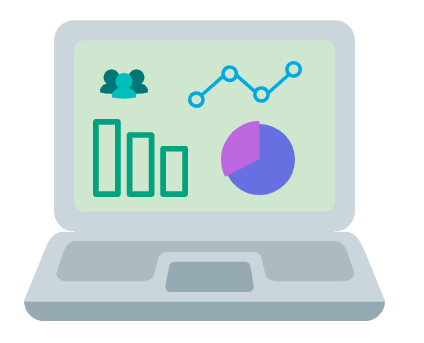 From a teacher’s perspective, it felt really amazing to be able to analyze and track data and trends to create assessments that actually are producing results. Q: How did Edulastic, if at all, help better prepare you for the Ohio Spring ELA AIR test? Q: When creating assessments, how did your teacher personalize or differentiate your learning experiences through the use of Edulastic? Q: Have your writing skills improved as a result of using flipped methods and resources like Edulastic and Google Classroom? In summary, Edulastic and Google Classroom have given our teachers, administrators, and students the tools they need to succeed on digital assessments. Moreover, in order to master content and succeed on the new online state tests, students must prepare for these tests using authentic testing settings and computer functionalities, like Edulastic allows for. A recent project I contributed to, a textbook entitled, Applying the Flipped Mastery Model to English Language Arts Education concludes by encouraging teachers to stay current with educational technology tools. The authors of the chapter state, that [for educators] “The main goal is to stay current with the times and rigor/shifts in focus for students and their learning goals despite the content itself. The authors say that in brief “Our work here with flipping the flip is an attempt to ‘stop waiting for the next wave of technology’ and engage in the “hard and important work of shepherding writing and writers in the time we live in today” (Moran and Young 250). Moran, Clarice M., and Young, Carl A. “Chapter 13: Flipping the Flip to Empower Students: Using Constructivist Principles to Reinvent Flipped ELA Instruction.” Applying the Flipped Classroom Model to English Language Arts Education. By Carl A. Young and Clarice M. Moran. Hershey, PA: IGI Global, 2017. 229-254. Print. Start tracking mastery at your school. Log in or sign up for a free Edulastic teacher account today. Learn more about how to use different types of assessments as tools in the classroom.